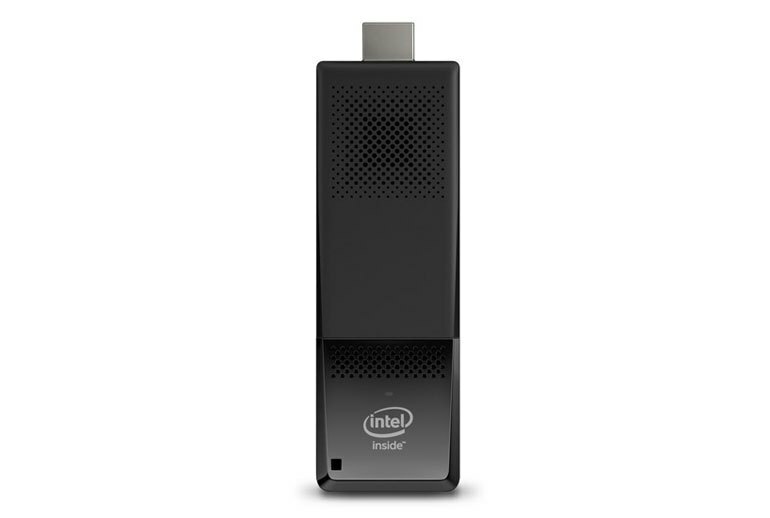 The Compute Stick is portable, making it easy to travel with and use in a hotel room. 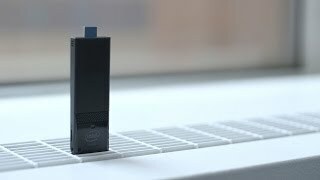 The tiny Compute Stick runs a full version of Windows 10, so you can run full versions of Office or web browsers like Chrome and Firefox. 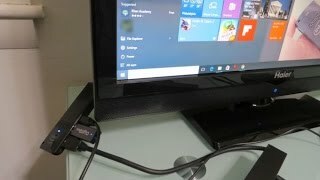 Streaming HD videos with the Compute Stick is no problem. 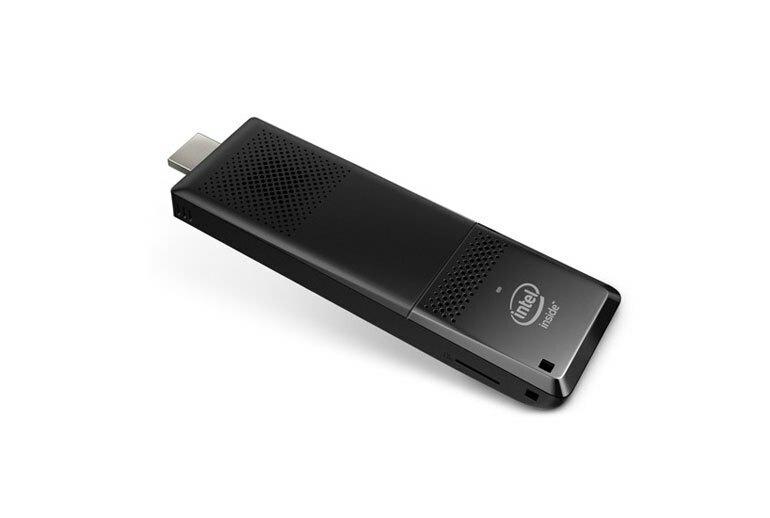 The tiny fan inside the Compute Stick is loud and noticeable at close distances. There's still only 32GB of total storage. Windows 10 leaves little space for apps. Although it's compact, adapters and cables can make a tangled mess. 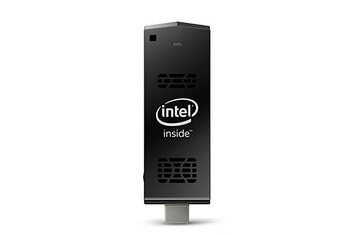 The second generation of Intel’s Compute Stick comes with Intel’s Cherry Trail Atom x5-Z8300 processor. 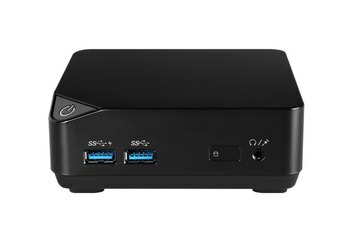 It now has two USB ports, including one USB 3.0 port. 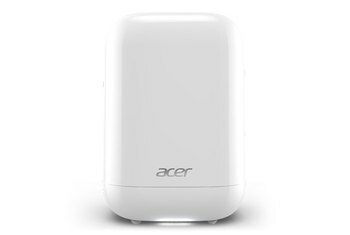 Wi-Fi connectivity has been upgraded to 802.11ac and Bluetooth 4.0. The power cord length has been increased to address one of the biggest complaints of the original Compute Stick. The 2016 version, like the previous version, has only 32GB of storage and 2GB of memory. It also has a microSD slot to add storage. Windows 10 comes loaded on the device. 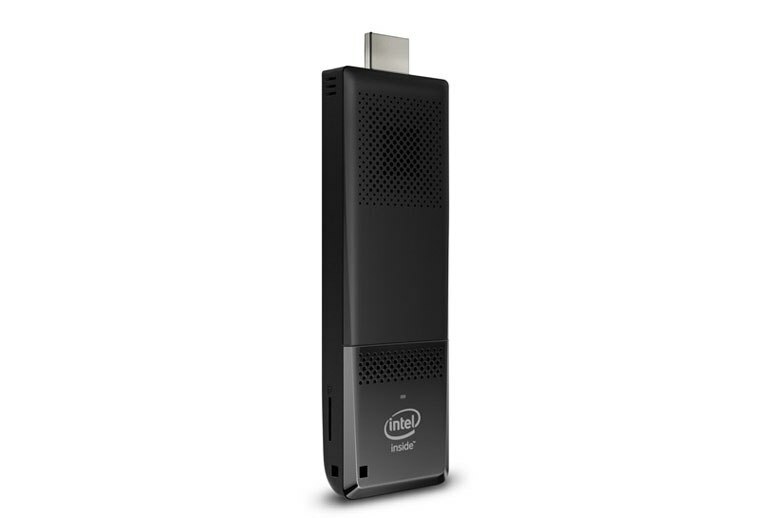 And to be clear, shipping any PC — even one this tiny — with only 32GB of built-in storage is just plain dumb. The design of the Compute Stick, both first and second-generation, is slick and minimalist, at least at first glance. Of course, actually setting one of these up and running it requires a little more than just plugging it into an HDMI port. With the exception of graphics performance, the x5-Z8300 shows only minimal gains over the first-generation Compute Stick’s Z3735F. 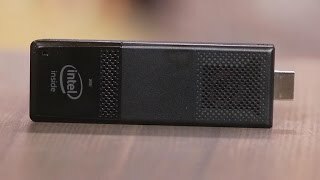 The Compute Stick comes with a very clean installation of Windows 10 Home (32-bit) that leaves around 10GB of free storage space on the 32GB disk. Before you blame Intel for skimping on the storage (and using just 2GB of RAM), know that Microsoft charges more for its Windows license to hardware makers if a device has more than this 2GB/32GB pairing. One potential issue for some: The Compute Stick's tiny fan made itself known while I was running benchmarks, even though it was about 12 feet away from me in my living room. With 802.11ac capability and improved internal antennas, we didn’t notice any hiccups while browsing the web. 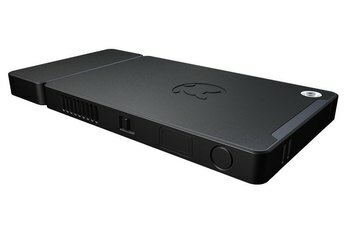 It works best if you don’t ask it to do too many things at once, but it can handle most Windows applications, as long as they don’t require more than 2GB of RAM or high-performance graphics. Frame drops are evident whenever the GPU load consistently stays above the 85 - 90% mark.